Are you looking to make more money? Is your business struggling? Do you need to start a business to generate more income? Are you tired of leaving money on the table? 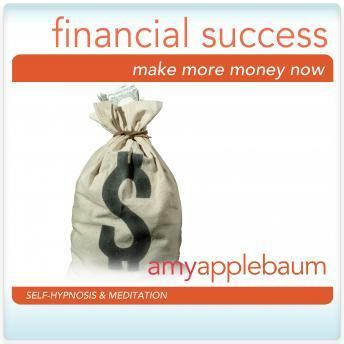 You can start taking actions that will bring you money today with this hypnosis album from Amy Applebaum. You are deserving of receiving money and are capable of making money, and hypnosis can help. Positive suggestions and binaural beats will be received by your mind, increasing your motivation for success and helping you take action. "Make More Money Now" will help you develop the motivation, focus, and self-confidence you need to take control of your financial future today. Why wait another day? You can get the ball rolling and make the money you deserve!